After watching a documentary about Iceland a few years ago, I became absolutely fascinated by their folklore and culture. How many places in the world can say they have diverted building projects to avoid damaging the homes of elves? And to exist atop raw, untouched volcanic and glacial landscapes—well, it instantly earns a top spot on my bucket list. 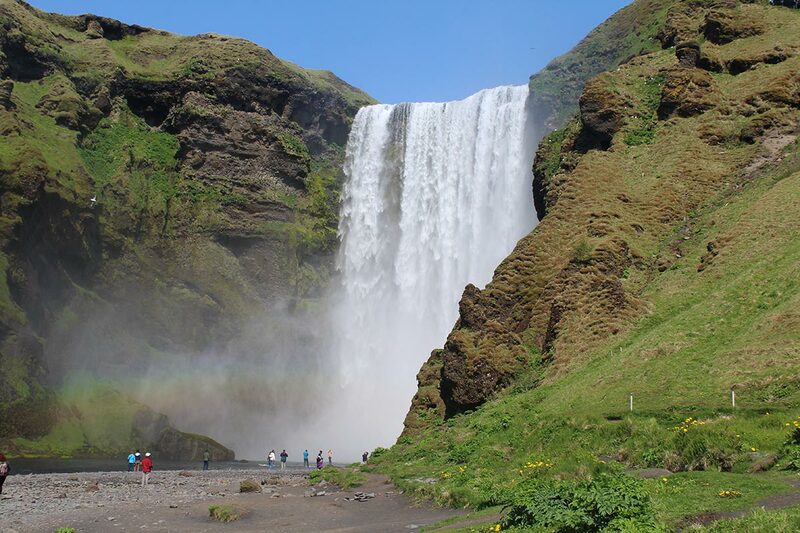 A glimpse of Iceland’s incomparable nature. I recruited my soul-cleansed buddy Marc and my soul (and real-life) sister Alessandra to road trip across southern Iceland for a week before Marc and I headed north to volunteer on a farm for three weeks. Besides being great company, both travel companions proved to have the quintessential skills for an optimum Icelandic camping/road trip. Marc can pitch a tent on a volcanic field in rain, fog or snow in under two minutes, while Alessandra can whip up gourmet snacks in the backseat of a moving vehicle under the glare of the midnight sun. 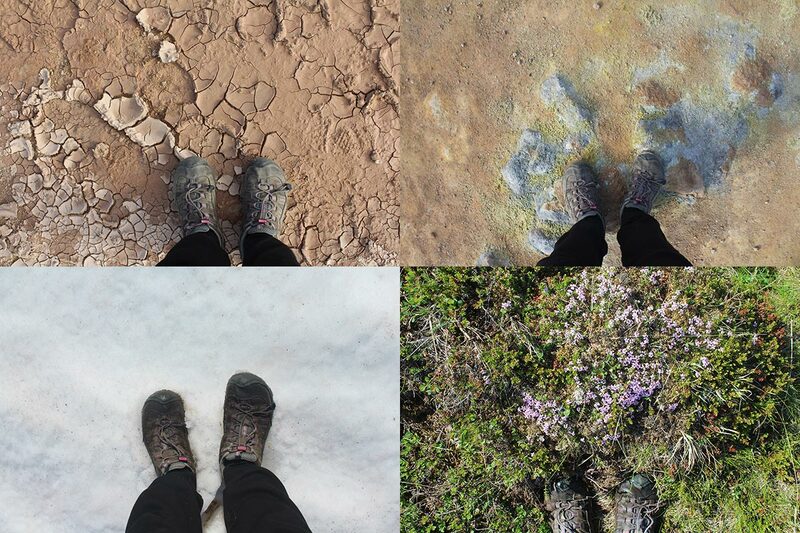 Our adventures took us to countless active volcanoes, waterfalls, glaciers, icebergs, fjords, geysers, hot springs, hiking trails and national parks. The nature in Iceland is endlessly breathtaking. What a difference a day makes in Iceland. Curious to find out more about the nationwide ice cream addiction, we visited Holtsel ice creamery in the Eyjafjarðarsveit Valley of north Iceland (near Akureyri, the country’s second-biggest city), a stunning region surrounded by snow-capped mountains. The owners, Guðmundur and his wife, Guðrún, have been making ice cream on their dairy farm since 2006. Typically, Holtsel can see up to 300 customers per day and 800 guests in the peak summer season. The ice cream culture in Iceland is huge, so no matter the weather outside or the time of the year, there is always an enormous queue outside an ice cream shop. 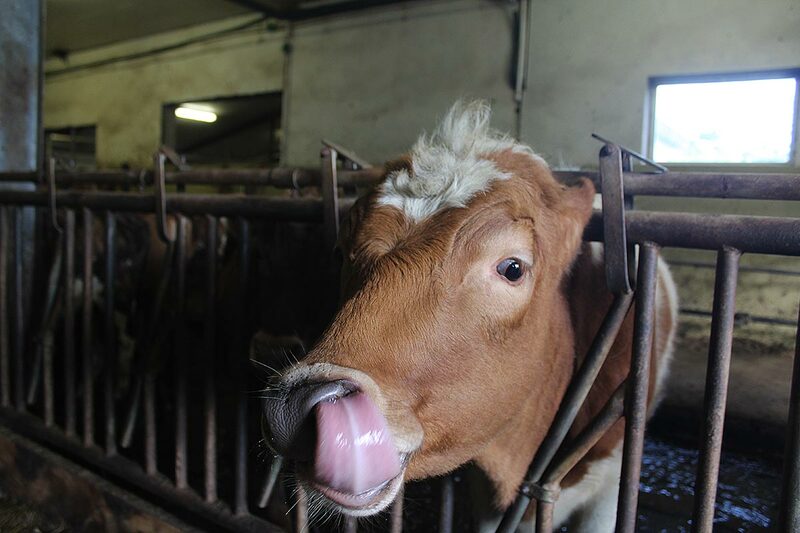 When the traffic slowed down, we took a tour of the farm, which is located just below the shop and houses 60 happy cows. 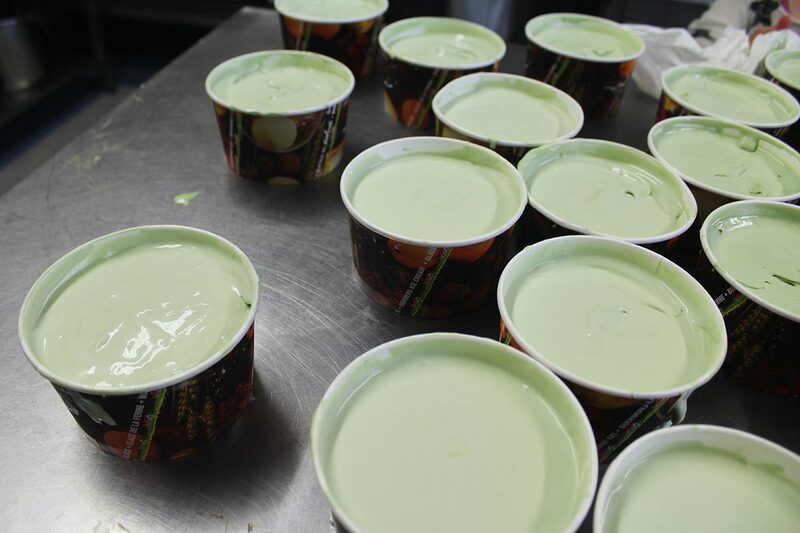 The milk used in making the ice cream is taken fresh from the cows every morning. 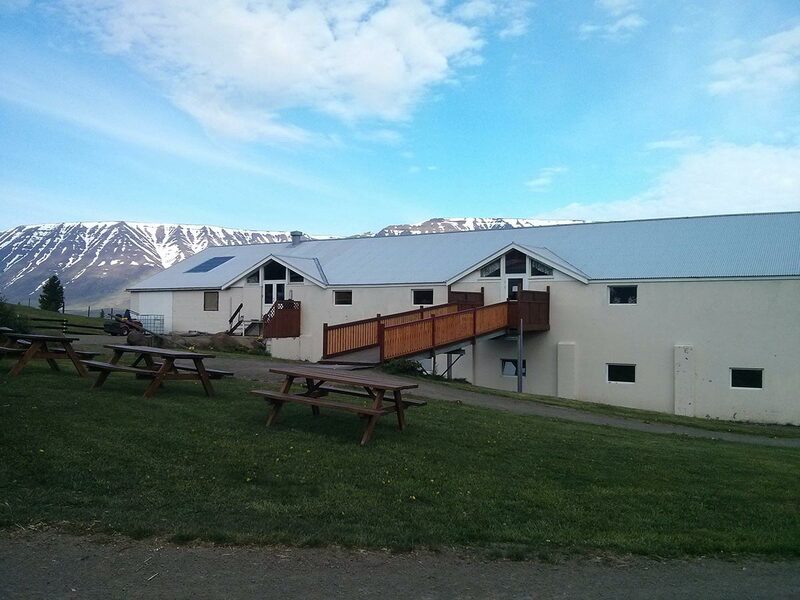 The unsuspecting Holtsel ice creamery in northern Iceland. We also visited the laboratory where they make dozens of inventive flavours of ice cream—licorice (a favourite in all Nordic countries), beer, Icelandic blueberry, rhubarb from the garden, skyr (Icelandic yogurt) and classics like chocolate, strawberry and peppermint. I can report that the beer and the blueberry flavours alone are worth lining up for. As a Quebecer, Marc takes his love for maple syrup very seriously. He suggested to Guðmundur and Guðrún that they consider making maple syrup ice cream—but it turned out they already did. We were surprised to learn that Canada has the largest population of Icelanders outside of Iceland, and some of them already introduced Holtsel to the precious liquid gold. In addition to ice cream, the shop also sells other Icelandic treats to help promote a network of local producers. 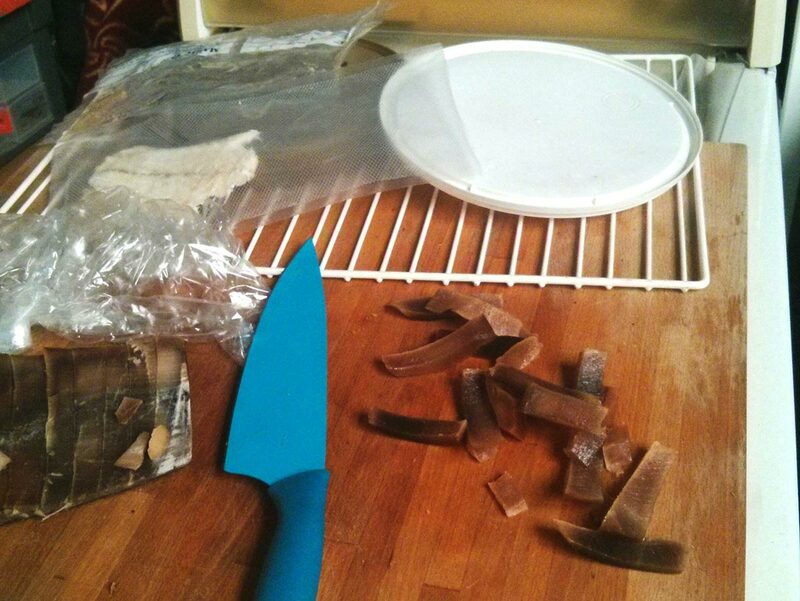 Guðmundur offered us one very special snack sold at the shop—fermented (some say “rotten”) shark, called hákarl. This national Icelandic dish is cured and hung-dried for months, because apparently when fresh, this type of shark has poison in it. Never one to turn down a culturally immersive experience, I popped a piece of de-poisoned shark in my mouth. Iceland’s national delicacy, fermented shark. They say the best way to eat it fermented shark is by following it with a shot of “black death” (Icelandic schnapps), but I disagree. My suggestion? Make sure to do it at an ice cream shop—that way, you can cleanse your palate afterwards with a scoop of delicious, non-shark flavoured dairy goodness.